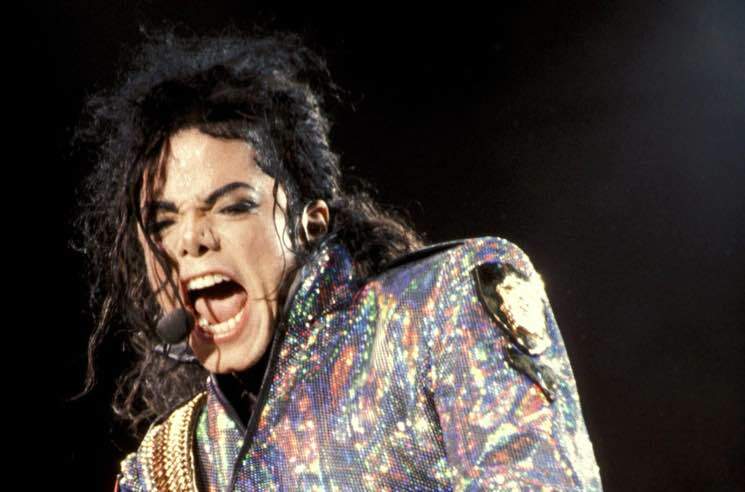 Michael Jackson has been banned by three major Montreal radio stations following the HBO documentary Leaving Neverland. The film delves into the child-molestation allegations against the late singer, and it just aired on HBO over the weekend. By Monday morning (March 4), Jackson's music was pulled by Cogeco stations CKOI, Rythme and The Beat. "We are attentive to listeners' comments, and last night's documentary created reactions," Christine Dicaire, director of marketing and communications for Cogeco, said in a statement [via the Canadian Press]. The spokesperson went on to explain that the decision to stop playing the music of Michael Jackson will extend beyond Montreal and also apply to other Cogeco Media radio stations in smaller Quebec markets. The company operates 23 radio stations in the province overall. At this point, it's unclear if other radio stations in Canada will enforce a similar ban as a result of Leaving Neverland. As previously reported, the film focuses on Wade Robson and James Safechuck, two men who claim Jackson sexually abused them when they were preteens. As a result of the film, Jackson's estate has filed a $100 million lawsuit against HBO.